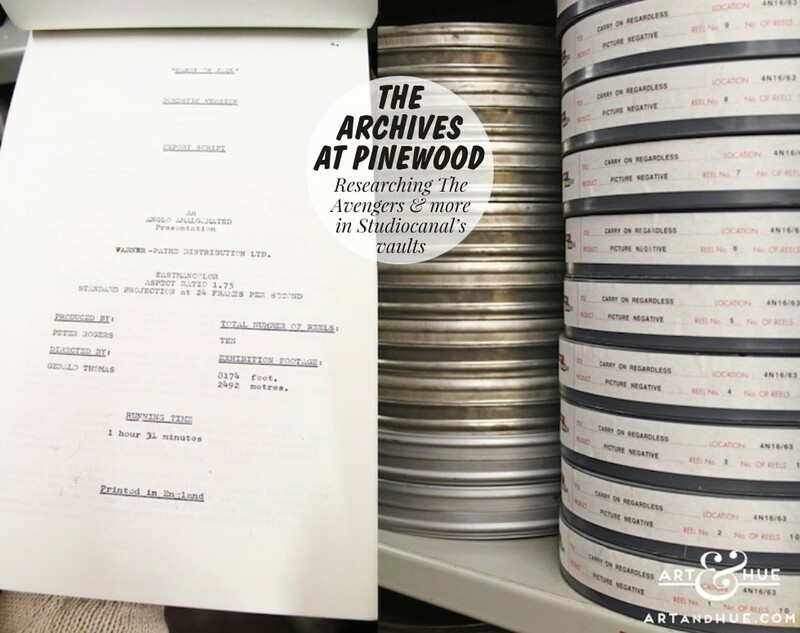 If you follow Art & Hue on Twitter, Facebook or Instagram, or if you’ve read some of the collection pages, you’ll have seen mentions of the archives at Pinewood Studios. 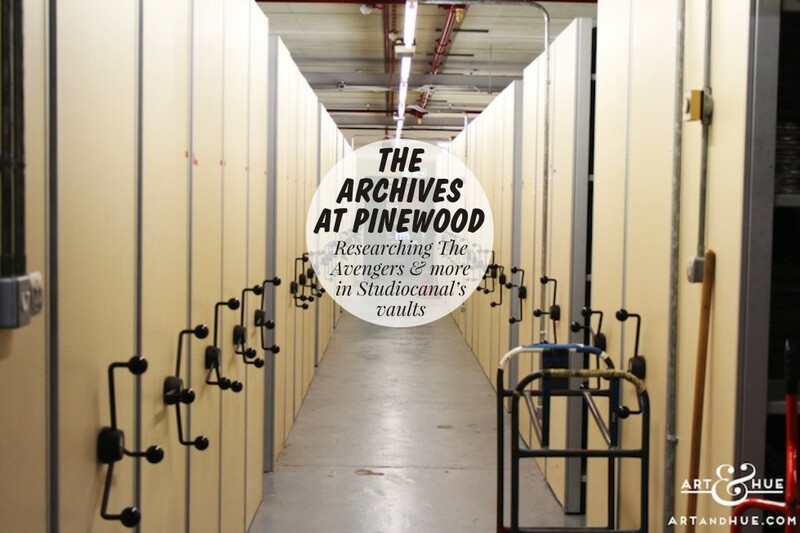 An incredible resource of classic cinema, Studiocanal have secure vaults at Pinewood filled to the brim with original film cans and publicity images from all the titles in their vast collection of British film and television. 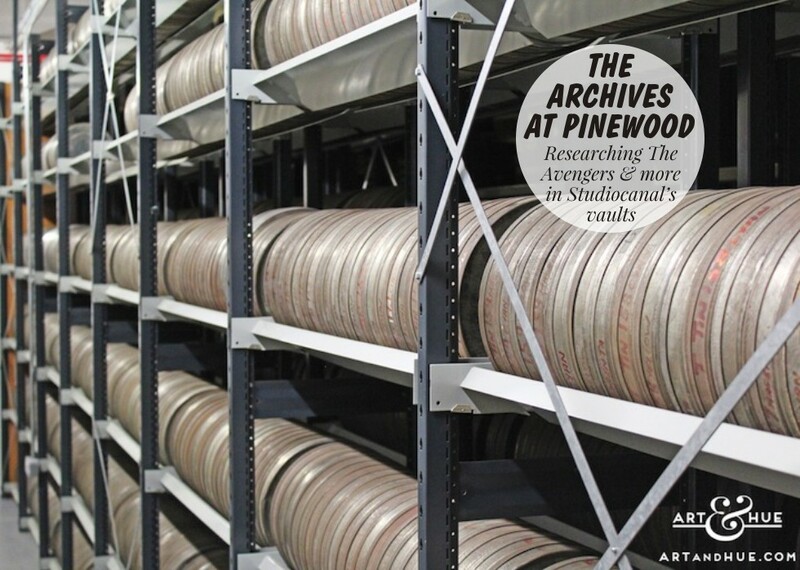 The third largest film library in the world, Studiocanal hold the rights to many films and TV shows, and the archives at Pinewood house their British catalogue, including classic Ealing Comedies, the Carry On films produced by Anglo-Amalgamated, The Avengers TV series, and many, MANY, more. 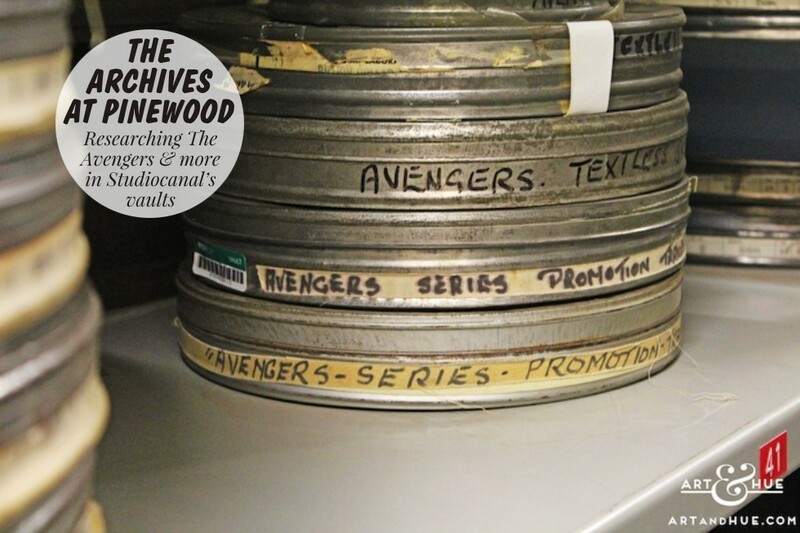 It’s always a privilege to be able to access the wonderful Studiocanal archive of British titles to discover images for potential pop art collections and it’s led to five art print ranges so far: The Avengers, Audrey Hepburn, School For Scoundrels, Carry On Films, and, most recently, Joanna Lumley. 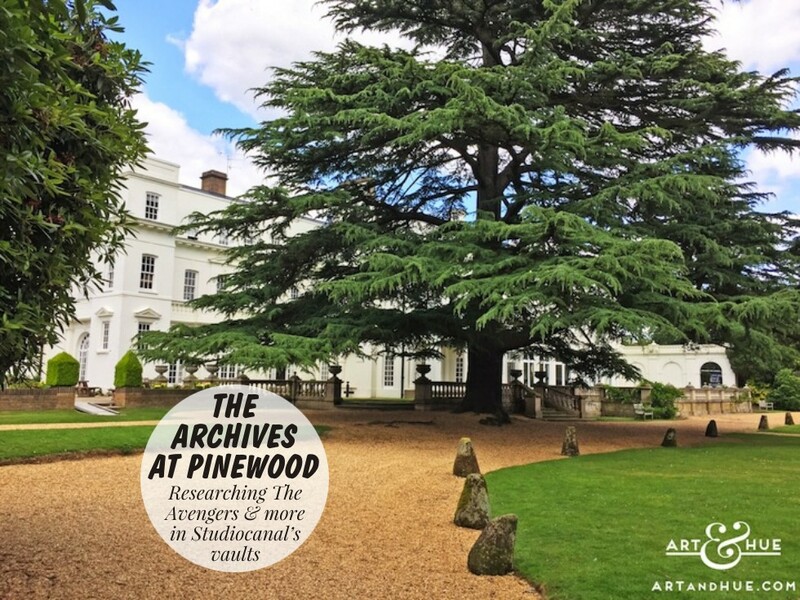 An absolute honour to visit, you can feel the history in the walls and roads of Pinewood – from Goldfinger Avenue where Sean Connery drove the classic Aston Martin, to the corridors, buildings, and parking areas featured in the Carry On films, everywhere you look is a reminder of classic film history. 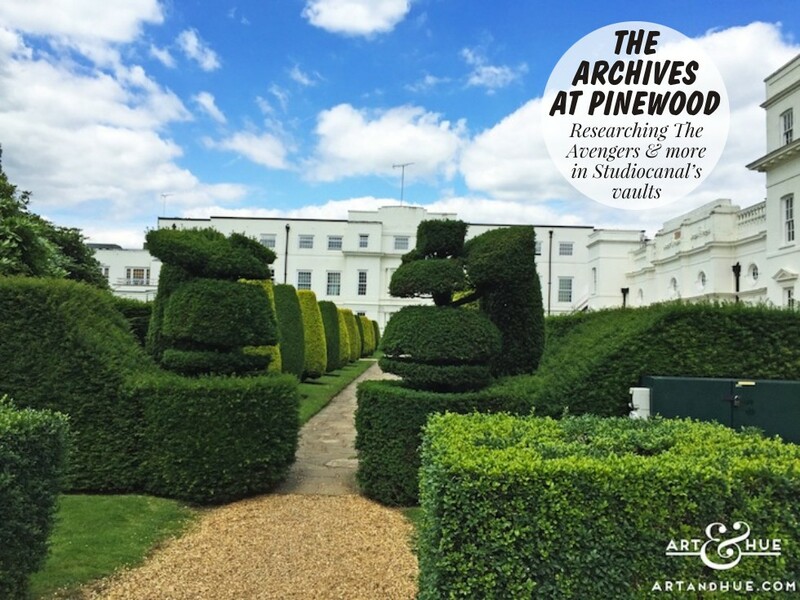 You may remember the large white Pinewood house from Carry On Nurse, Carry On Again Doctor and Up The Khyber, as well as From Russia With Love and the 1974 film The Great Gatsby, and the manicured gardens will be familiar for appearing in films including Carry On Henry. 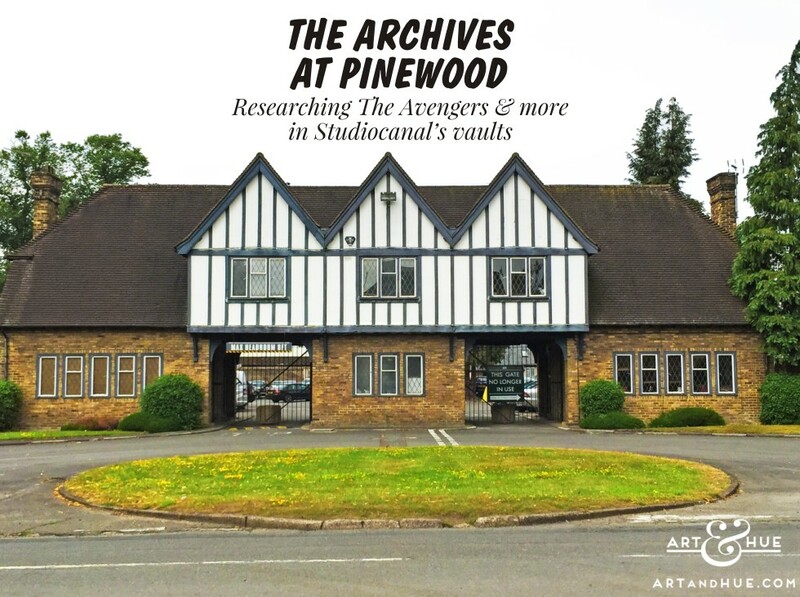 As I’m sure you can imagine, Pinewood’s security is incredibly tight to make sure that only people with a purpose are allowed onto the site – after all, Star Wars and the Bond films are just some of the film juggernauts that are filmed there and it’s natural they demand secrecy about their productions. 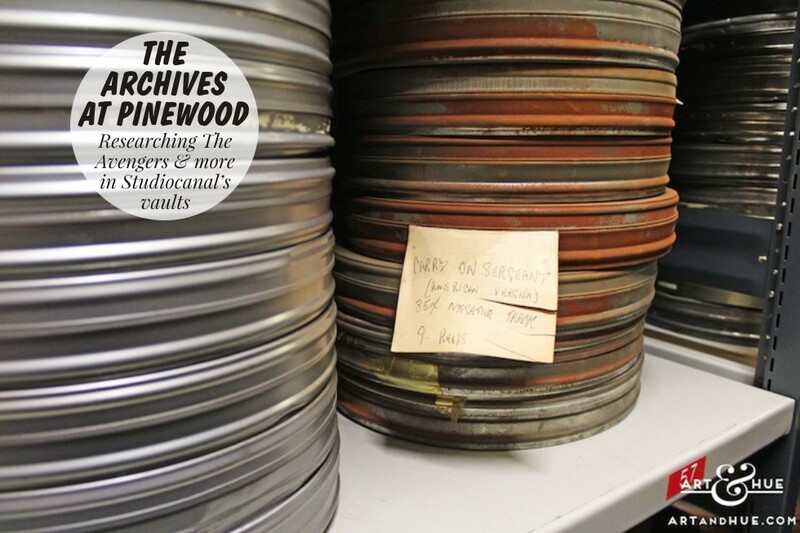 Not only are the Studiocanal archives highly secure, they’re also climate-controlled to preserve the longevity of the original film stock – it can make for quite a chilly visit during the winter months but a refreshing respite from summer heat. 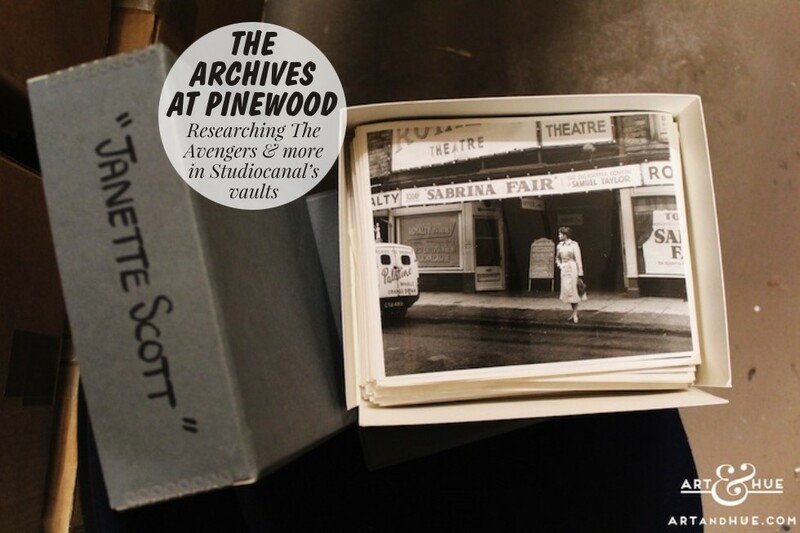 Your email address will only be seen by Art & Hue and you can unsubscribe from the newsletter at any time. 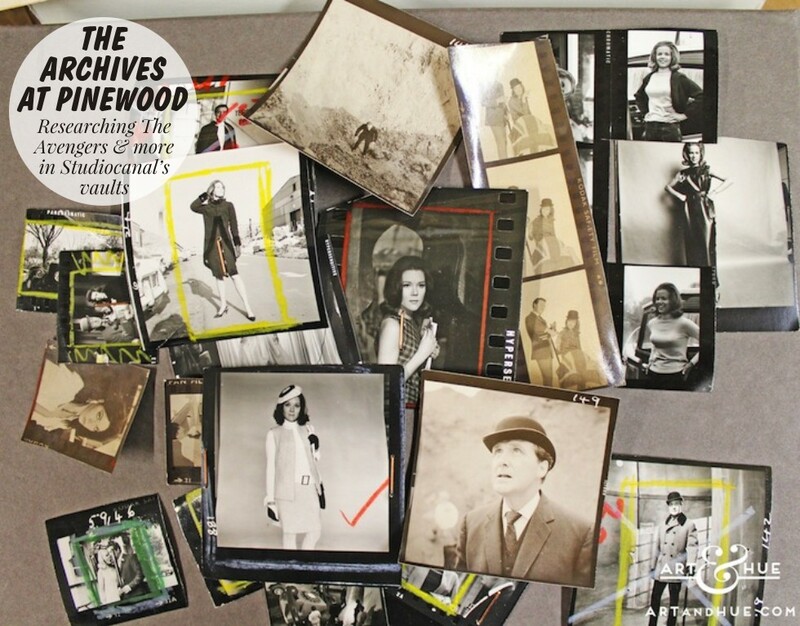 Art & Hue uses a respected & secure service for the mailing list, based in the USA, who subscribe to the EU-US Privacy Shield Framework to ensure your data is fully protected.